Contributing to SDGs 8 and 16, the Interactive Map for Business of Anti-Human Trafficking Organisations includes information on the organisations that work with the business sector to combat modern slavery. Linking to Goals 2, 6, 12, 15, and 17, this website catalogues and facilitates water stewardship projects in river basins and regions around the world. Linking to Goals 2, 6, 15, 17, this toolbox connects your business to the latest tools, guidance, case studies, datasets, and more most relevant to you based on your circumstances and interests. For over 15 years, businesses around the world have turned to the UN Global Compact to shape their corporate sustainability approach. We offer an extensive toolbox ranging from leadership engagement platforms to best practices and resources that will help your business embed the Ten Principles into your operations, identify new opportunities to advance the SDGs and partner with the United Nations. The Sustainable Development Goals provide a powerful aspiration for improving our world - laying out where we collectively need to go and how to get there. Making Global Goals Local Business is the UN Global Compact’s strategy for businesses on how to navigate the SDGs. It explains the SDGs through a business lens and signposts companies on ways they can advance each one. 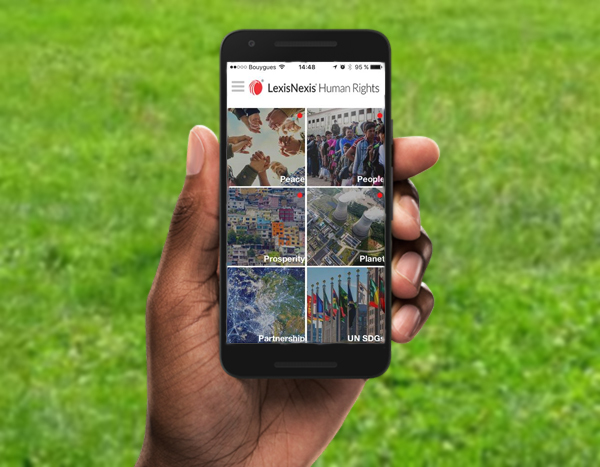 The LexisNexis Newsdesk® app featuring human rights is a free app which tracks news about the 17 SDGs and brings relevant stories from across the world in real time to your mobile device. Media monitoring using LexisNexis technology provides insights and news that will inform all those who are working to advance the SDGs. Target SDG 17.16 includes encouraging multi-stakeholder partnerships that mobilize and share knowledge, expertise, technology and financial resources, to support the achievement of the sustainable development goals in all countries. Media has an important role to play in tracking progress towards the SDGs. The Human Rights Around the World and In the Media News Tracker provides a valuable tracking tool to chart the SDGs and their progress across the globe. This tool provides insights that will benefit all of the SDGs and in particular the targets set for SDG 16 Peace, Justice and Strong Institutions. 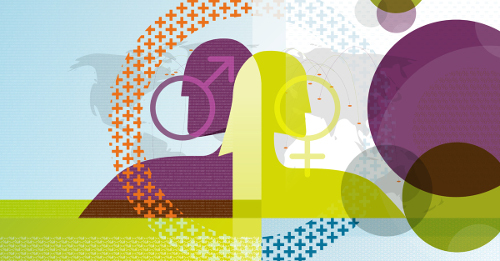 To support the launch of Elsevier's groundbreaking report Gender in the Global Research Landscape, it has created a resource center as a source of information for researchers, research leaders, policymakers and anyone else interested in gender diversity and its impact on science and society. Through this work, Elsevier is committed to SDG 5 to advance gender equality.